Under the Treaty of Versailles, several German provinces became property of Poland after World War I, leaving many families to cling to their German identity while living in a foreign land. 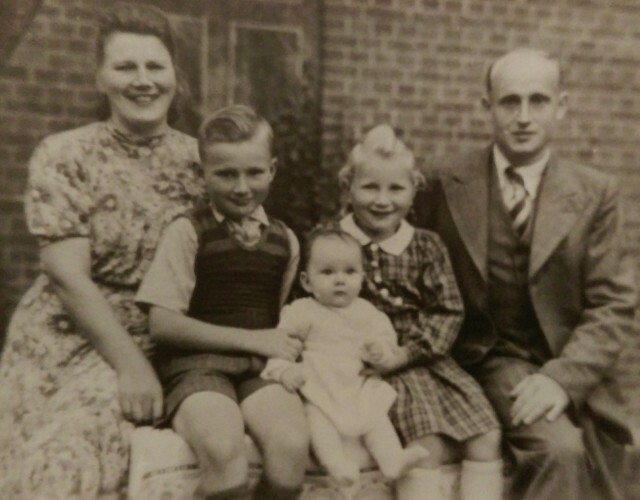 Though they tried to carry on with their lives, the outbreak of the Second World War brought many challenging events that would result in many families seeking a better life elsewhere. Born in 1950 inside a small barn in postwar Germany, Jefferson City, Mo., resident Inge Ehrlich Gauck entered the world to become part of a stirring tale that included a father whose immigration to the United States was set in motion by the German invasion of Poland in 1939. Gauck’s father, Hugo Ehrlich, was born in 1916 in a small Polish village near the German border. 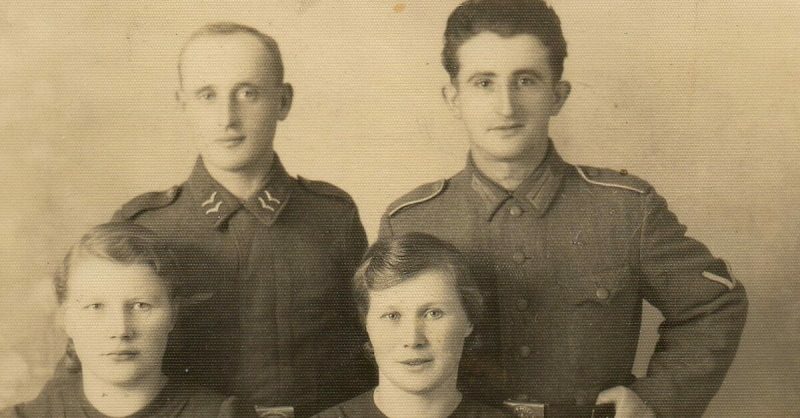 As he entered manhood, he was not plagued with concerns related to a deadly and protracted European war when he chose to marry his 17-year-old sweetheart, Hedwig Beier, in 1940. As Gauck shared, her father possessed only a third grade education and worked on his family’s farm, never losing the dream of someday owning his own property. However, in 1942, Hugo experienced firsthand the consequences of Hitler’s expansionist vision when the Polish territories seized during the war were required to provide soldiers for the German cause. Ehrlich was not alone in his conscripted service since, as noted on the Axis History website, as many as 500,000 Polish citizens served in the Werhmacht (the unified armed forces of Germany) during the Second World War, including Ehrlich’s brother-in-law, Adam Scheffler. One day, however, Ehrlich’s circumstances would be forever altered when he was captured by American forces. 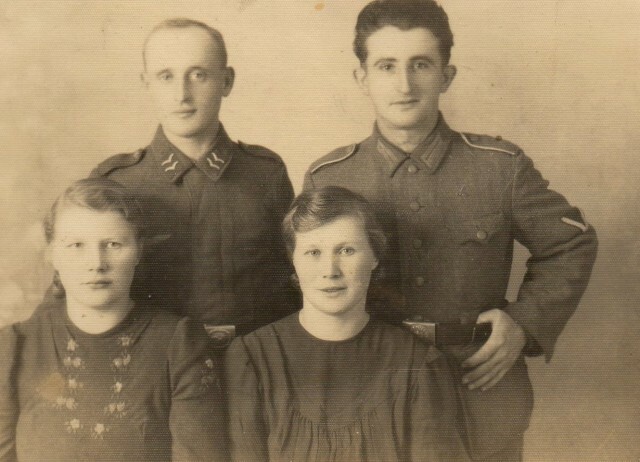 Ehrlich was eventually released from the prisoner of war camp and a certificate he received notes his discharge from the German military on January 30, 1946, at which time he returned to Poland and was reunited with his wife and two children—Erika (daughter) and Gerhard (son). The next few years were quite turbulent for the growing family as they joined thousands of other refugees who had lost their property as a result of the war. The Ehrlich family was later relocated to a small German village and had to live in part of a barn with other displaced families, where Gauck was born in 1950 and thus became the family’s third and final child. However dire their circumstances appeared, the Ehrlich’s found solace through Public Law 774 and 555, which granted them an opportunity to enter the United States as “displaced persons” under the sponsorship of Lutheran Service to Refugees (now known as Lutheran Immigration and Refugee Service). The family received its first introduction to the United States following their immigration in 1952 through the sponsorship of St. John’s Lutheran Church in May City, Iowa; the congregation helped Ehrlich find a job and provided the family a small apartment above a local grocery store. “We didn’t know English very well, so even going to the store and trying to buy something was a challenge,” Gauck said. “I remember my father really liked eggs and he had to make a sound like a chicken clucking for them to understand that he wanted eggs,” she smiled. The former soldier eventually did learn English and, on November 19,1965, earned his citizenship. In later years, he moved his family to the state of California with hopes of purchasing farmland, but instead, became successful by working as a carpenter by day and, in the evenings, moved houses for the freeways being built in Los Angeles. Though her father passed away in 1973, Gauck is gratified knowing the struggles he overcame to give his family a better life in a country that provided their first glimmer of hope during the tumultuous period following World War II.